SEO has been around for more than a decade and as of this post, not one SEO Expert in the world encourages you to build back links to your sitemap. Let me be the first. 1. “Most SEO is snake oil”. 2. My SEO course gives you my latest knowledge of current best practices, but the Google algorithm changes constantly so I wish to equip listeners with the knowledge on how they can test and stay current with the changes to the algorithm. I still remember Brad’s word in my head because I listened to his 8 hour course at least 60 times. I will read any SEO consultant’s latest blog post on SEO trends to stretch myself with new ideas, but I test all their so-called secrets in the trenches. I don’t get paid for a black box, I get paid for results. Even though I’ve never read any advice to build backwards links to your sitemap, I do it all the time. I even build back links to my rss and atom feeds for my posts and comments. Why? Because Google indexes them. I did a search before I pubished this post and SEOs say you’re an idiot to think building backlinks to your sitemap makes any sense other than to get your pages indexed. I’m proud to go against every SEO expert in the world, because I’ve tested this exotic link building practice and it works. I also build links to pages which SEOs say not to, like your contact page and your disclosure pages and privacy policies. I find that deep links from any page if it has a link back to your home page is a good idea. If you are worried about losing page rank on your money pages, then use a technique that Leslie Rohde coined called Page Rank Sculpting, Page Rank Shaping or Link Sculpting where you add the no follow tag to links going to pages where you don’t want Page Rank leak. By using Leslie Rohde’s dynamic linking of internal pages, you can get a big boost in ranking because Google counts on site links as well as off site links. Link building to your site map or rss feeds does not give you dramatic page rank boosts, but all things being equal, it can give you an edge against a competitor’s site. One of the primary services I offer is Online Reputation Management where I push the negative links in a Google search off of the first several pages and replace it with content you or your company is comfortable with, and in doing so, I often need an edge over other sites, so little things like building links to sitemaps and rss feeds can make a critical difference. There is a small percentage of SEO consultants that will recommend you list your feeds with anchor text in RSS directories, but you never hear them encouraging you to create regular anchor text links to your feed urls. Even if you don’t get a direct boost in the rankings by building direct links to your RSS feeds, you will get targeted traffic which indirectly gives you more incoming traffic and it builds page reputation. The Google algorithm now counts page traffic and bounce rate in their ranking. At the time of this post, I have no indication that it is a major factor, but I have evidence that it is at least a minor factor. As a guy that builds thousands of links before I have had my first cup of morning coffee, exotic link building to these taboo pages is a standard practice for me. If you only have limited resources, then I’d stick to traditional SEO because you’ll get more bang for your buck. However, when you’re going head to head with the best of the best, then I’d do it for the edge it gives you. If you are worried about leaking Page Rank from your primary pages, then make sure you link to the forbidden pages with the no follow attribute. Then, when you link out from the dead zone pages to your money pages, do it with a do follow tag. Today, I did a Google search for my name on page 2 of the SERP in position 7, my sitemap for GlenWoodfin.com is right there staring me in the face: https://www.glenwoodfin.com/sitemap.xml. If Google indexes the link, do you really think it doesn’t count for ranking? Quit following the so-called SEO experts…think for yourself (see photo below). 2. Those with RSS readers will receive the content automatically through a push system so they don’t have to return to your site to see if you’ve updated it with fresh content. If you have subscribed to a site’s feed, the content will automatically appear in your RSS aggregator. With spam filters on overdrive using email, this has been proven to be a more reliable methods of delivering content. Once you’ve subscribed to a feed, the content will be delivered with 100% success. Where do feeds get their reputation to hold magical qualities? Their 3rd power is in syndication. I speculate that after feeds began to proliferate, creative webmasters and marketers saw that they could amplify their content distribution with RSS. Many auto bloggers and scrapers search for feeds 24/7 using keywords to grab content from feeds and publish your content on their sites on autopilot. Therefore, if you have back links in your content, one hopes to gain back links on autopilot and also get traffic from the funnel created. Does this technique work for an SEO boost? Yes, to an extent. There is no Google algorithm penalty for duplicate content on other people’s sites regardless of what all the phony SEO experts clam, but their value is diminished by Google detecting it and moving many of those links into the supplemental index. Those links absolutely will not hurt your site’s ranking but their link juice is mitigated. Up to the Panda Update in February of 2011, it was a proven method to get a boost in rankings. It still works to some extent, but it’s not nearly as powerful of a technique as it was pre-Panda. In fact, the creation of Google’s supplemental indexing of duplicate content much earlier clipped the wings of using feeds for link building a long time before Panda came along. You will get more traffic through content syndication, which will give you a small boost in rankings. I’ve published press releases and have had literally thousands of other sites publish my content on their sites either word for word or as a truncated summary on their sites. Some of the web sites will carry your active hypertext links on their sites while many others will post your content because many strip out your links, leaving the only benefit of a boost in traffic if people see the content on someone else’s site then come over to your site if they find the content attractive. There is also the hope that others will come to your site and find other things to crow about and give you the credit through new back links. In order for this phenomenon to kick in, your content will need to be good, the syndication alone won’t assure that. How do I know for a fact that the other SEO experts are wrong about this aspect of duplicate content? A local Volkswagen Audi dealership brought me in for a marketing consultation and they gave me some powerful ammunition to reel in new clients from beyond their local market by guaranteeing the lowest price in 3 states: South Carolina, North Carolina and Georgia. I put up identical blog content on about 50 sites while changing only a few small items: the keywords in the domain names, the title, description and keyword meta tags and the H1 tags. Everything else was cookie cutter exact duplicate content. Each of the sites soared to the top of the search engines in their respective locations as I created sites for every major city in all 3 states. The campaign worked well until the dealerships in those cities whined to the regional franchise managers. In fact, many of them were downright outraged that we were able to go head to head with them without having to have a brick and mortar facility in those remote cities. We offered the guaranteed lowest price plus free delivery to their door, or if they were willing to pick up the vehicle in person, we’d put them up in our city’s finest hotel and take them out to dinner for a romantic get-a-way. How could they lose? I am taking down all of those sites as I write this, but the campaign worked for the whole of 2011. If you appreciate me revealing SEO secrets like these, please encourage me to continue by sharing this on your Facebook, Re-Tweeting or clicking the Google+ button below. Want to maximize the promotion of your feeds, check out my post on: Twitter feeds. Also, I did a post on how to ping a page to get it indexed faster at: Auto Pinger. 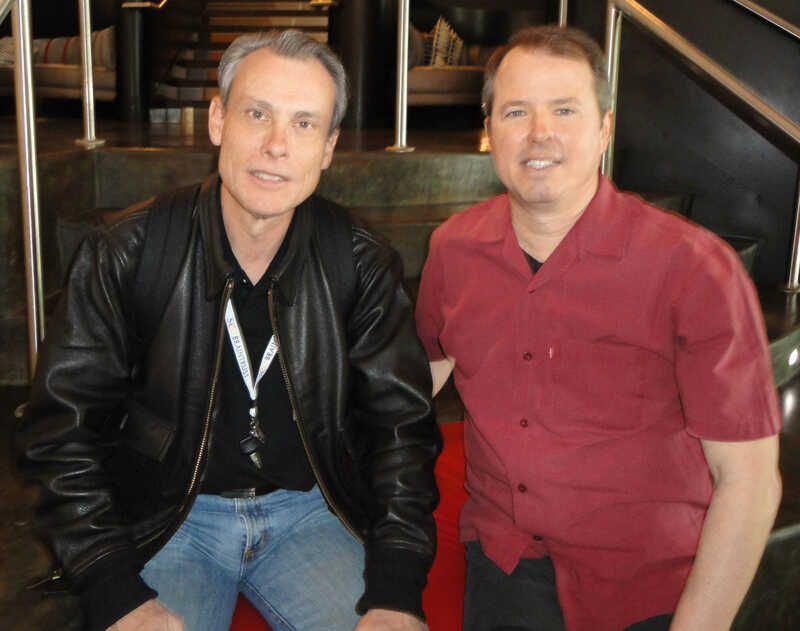 I dedicate this post to the pioneering SEO genius of those that have gone before me: Brad Fallon, Leslie Rohde and Dan Thies of SEO Braintrust. Glen – you are an amazing wealth of wisdom and obviously you know how to be seen! Thanks Jan. I’ve enjoyed your books on discovering your inner strength. I’ve been working at singing my own song and following the beat of a different drummer…me. I speak as someone who believes in the “natural” element of SEO, that is to say begin with diverse copy and treat the spiders as real humans, if blind. It is after all what the programmers are trying to emulate – and given the rubbish that turns out after the recent Panda changes I wonder how far they will ever get in understanding this! Your work for the car dealership shows just how well this can work though – and for my old website, several pictures bobbed up to Google page 1 because I did not put a “no-follow” link on my (hand crafted) 404 page! I was encouraging an exotic method of building back links to your sitemap and to your feeds. Those can be offsite or onsite links. If you’re concerned about losing link juice from an internal link to your sitemap or feeds, then you could link with the rel=”nofollow” tag. Something like this could be in your html code: Reputation Expert. Thank you for the direct email conversation. I have never talked with a gal named Gemma before, especially from Holland. The link I show here for Reputation Expert was made with the no follow link. After I published it, it turned my code into an actual backlink. I meant to show you the raw code. Since it automatically created an actual link, look at my next comment for an explanation on how to create the code. I’ve got a link to a site that explains it. Here is a discussion on how to create no follow links: http://relnofollow.net/. While making the decision on whether or not to approve your comment, I noticed you were linking your comment to your sitemap. You won me over by proving you actually read the post and found it credible. Google+ing my post was also a nice touch. Thanks Dan. Hi Glenn! I never knew the significance of no follow links until I read your post. My website has received many comments from spammers with links to their own websites and I always see the rel=”nofollow” line on their links. I never approved them because they are mostly non-sense. Am I correct in saying the spammers will benefit when I approve their so-called comments? How? By the way, after reading your post, I edited my product links to Amazon and made them no follow links. Does this help my website? Hi Kris, all pages and posts are given a page rank by Google depending on how many pages on the web link back to your page whether they are internal links from your own site or links coming in from outside web sites. The page rank of the pages linking to you is also a dominant factor. If you get one link coming from the home page of the New York Times, it is much more valuable than getting a few thousand links from brand new sites. The power of the sites with higher authority come from the fact that thousands of web sites link to their page first, so those links are much more valuable as you need less of them. A page is assigned a page rank by Google and it is what it is. The number of links you have on that page do not hurt that page’s page rank. However, it is presumed that when you link from that page to another page, the available link juice is equally divided by the number of the outbound links on your page. Knowing that you are giving ranking power to pages you link to. Therefore, if you are linking to someone else’s site as a reference, SEOs usually use the no follow tag so you don’t give your link juice to a stranger. When you link from one page on your site to another page on the same site, you might wish to give another page on your site the maximum juice, so you don’t use the no follow tag. This gives ranking power to all the pages on your site, not just your home page. We call this deep linking. Linking to any page on your site other than just the home page is called deep linking. Your site’s internal linking count in the Google algorithm, not just off site links. Many SEOs use the no follow tag when linking to inconsequential pages as well as the robot ‘do not index metatag’ on pages like the Terms of Service page, so you don’t give any of your valuable link juice to pages that you deem to be insignificant for search ranking. I rarely bother with this except on a large site where every page on the site will have a site wide link to these pages from a location like the footer. I build so many links to all pages of my site including the TOS (terms of service) pages, the site map pages and the feed pages. Since I use links on those pages to help my other pages, I don’t use those tags as a standard practice, instead, I use them to my advantage. If you use automation when link building, then you can turn the negative into a positive on those pages. That is a decision that you’ll have to determine. Larger sites with more pages tend to outrank smaller sites because it is common to use all those pages to build links back to pages within your site that you deem important. By using the follow or no follow tag, you can have some control over where you give your love. Deliberate use of the do follow/no follow tags within your own site for your best benefit is called link shaping or link sculpting, a phrase originally coined by Leslie Rohde, a reknowned SEO expert. Note: I have discovered that there is still some link juice that transfers even when the no follow tag is used. I do think it’s mitigated, but I’ve gotten sites to rank using nothing but links created with the no follow tag. No follow links are good to bolster something called page repuation if one uses targeted keywords in the anchor text rather that a standard hypertexted url. Page reputation in SEO terms is when a page gets known for a certain keyword or keyword phrase by the search engines, an obvious benefit for ranking. Thanks for the detailed explanation Glen! I have learned so much from you. Now I’m going to take advantage of the no follow links, and the sitemap link as well. I’ll be following your website very often because it is a source of genuine information. Best of luck!